I have come across an interesting “feature” or “bug” in Windows Update service on Windows Server 2016 (Windows 10 RTM). 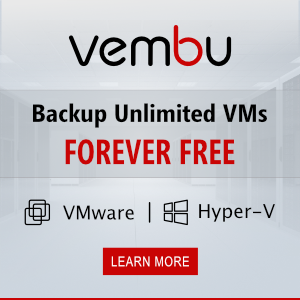 If you’re not using an internal WSUS server and your OS must be updated directly from Microsoft Update servers in the Internet, when you downloading the updates in Windows Server 2016 via a proxy server, the download process stucks at 0% (Downloading Updates 0%). What is interesting, the Windows Update client has been able to send/download the updates metadata (the list of necessary updates has been formed successfully), but none of them could be downloaded. Let’s create and open the WindowsUpdate.log using the Get-WindowsUpdateLog cmdlet. 2018/11/11 12:32:47.8545291 123 3542 DownloadManager Download job E3BB42A1C-42B4-221B-1320-8AB433CE1965E resumed. 2018/11/11 12:32:47.8772521 123 3542 DownloadManager DO download failed with error 80246008[Extended: 80040154], falling back to BITS and retrying with new Download Job. As you can see, BITS cannot download the files with the error 80246008 (SUS_E_DM_FAILTOCONNECTTOBITS – see the complete list of Windows update error codes). 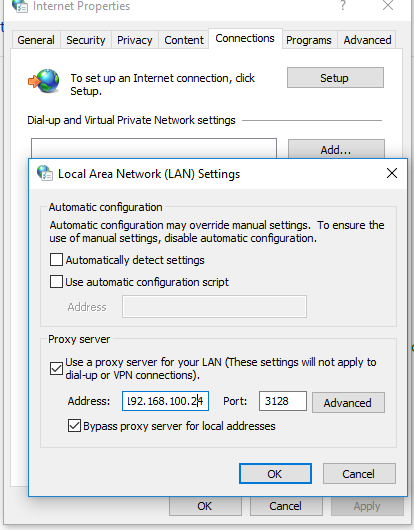 As it turned out, the proxy server settings for the Internet Explorer in Windows Server 2016 RTM (10.0.14393) doesn’t work in the same way as in previous Windows versions. In order the Windows Update client can access the Internet through a proxy, you must force set the system proxy for winhttp. As you can see, the proxy settings for WinHTTP are not set. A proxy was configured in Internet Explorer on the User level but not in System level (WinHTTP). This configuration causes the connections to Windows Update to fail. netsh winhttp set proxy proxy-server="192.168.100.24:3128" bypass-list="*.woshub.com"
After a proxy for WinHTTP had been specified, Windows Server 2016 started to download updates from Microsoft Update servers. The same problem is typical to RTM version of Windows 10 (RTM version of the Windows Update Agent – 10.0.14393.0). Note. 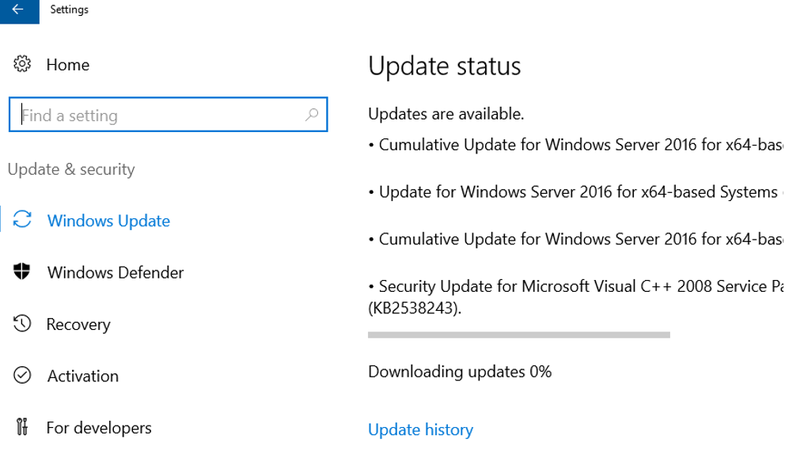 If you manually download and install the latest cumulative update from Microsoft Update Catalog (released after November, 2016), the updates will be download and installed normally even if you don’t set WinHTTP proxy. According to Microsoft information, this bug was fixed in Windows Update agent 10.0.14393.187 and higher.